The experience of buying a car is often the start of a very special relationship. These days, the "chase" often begins with an online for-sale ad. Pictures and an often less-than-realistic depiction of the car grab hold of us, leading us to pulling loose change from the couch cushions. It's love at first sight, and after emails, phone calls, and text messages, the agonizingly long wait begins. "When can I come take a look at it?" The only acceptable answer in my heart is "right now," but more often than not, the seller has other intentions. "How about this weekend?" And so the nights pass by slowly, but after the ultimate test of "will my love fade?," the big day comes, and seeing a potential new car in person for the first time is where it all begins. There's a test drive, and if you're as impatient as me, there's no reason to look at other options. You want this one. You hand over the keys, and drive her home. At least, that's how most car buying stories begin. However, as the internet has grown to unimaginable depths, there are those of us who buy cars sight-unseen. We're now able to find cars all the way across the continent - and while that means our buying options have grown significantly, the essential "test drive" often eludes us. It becomes a purchase made on faith alone, and for certain, enthusiast-centric cars, it truly is an exchange from car-guy to car-guy. Jason Morabito is no stranger to the quintessential car-buying experience, but the latest addition to his garage plays out differently. 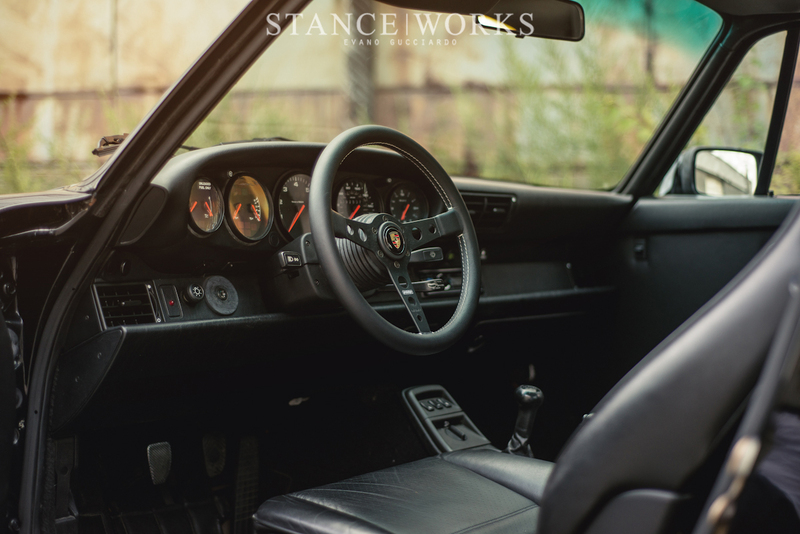 At the time, Jason had been toying with the idea of selling his 2002 Carrera 4S as he browsed for the right black-on-black 964 Porsche C2 to pop up. 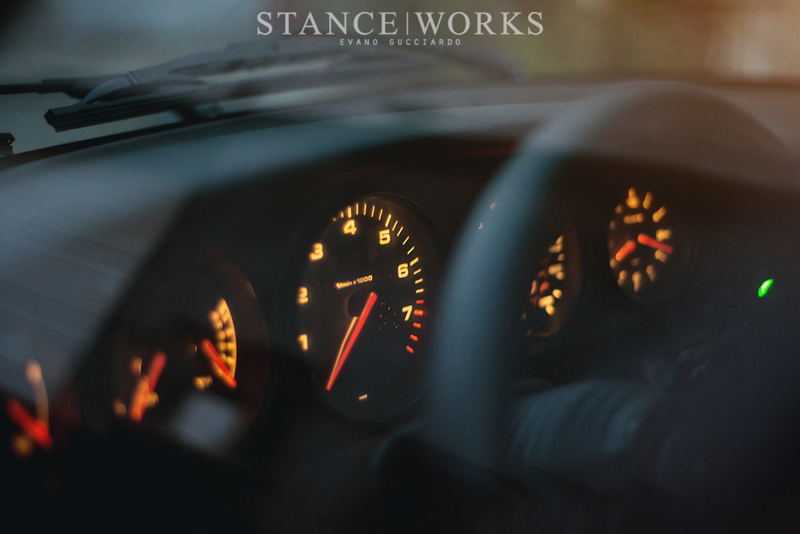 His project Audi 50 had been sold off to fund the new purchase, and when he spotted what seemed to be the perfect C2 replacement, he made a leap of faith. "I had made up my mind and bought the 92k mile, 2 owner car sight unseen." A week later, Jason's new 1991 Carrera C2 arrived. However, the car didn't quite match the description. The ad painted a picture of a near-perfect car, but what arrived was quite the opposite. The car's paint was "horrific," as Jason put it. Swirl marks covered the car, and the paint had faded and dulled, as though it has been left to sit outside for its entire life. The car's tail lights had faded and discolored; almost every lens on the car was cracked. The tires were generic, and the set was mismatched. The car's wiring had been played with, and the aftermarket stereo installation made for a car that was just waiting to burn to the ground. The suspension was modified with low-quality coilover sleeves that had seized themselves in place to the stock components, with original worn out shocks. Jason tells me "the list goes on..."
In short, as the car rolled off the trailer upon delivery, Jason's fianceé, Danielle, had to hold back her tears. She didn't have to say it - Jason could still hear her wondering "what the hell did you buy?" However, there was one saving grace to the serious project Jason had unknowingly signed himself up for. The ad told of a rebuilt and re-sealed engine with 18,000 miles on the clock. Luckily for Jason, that part held true. Included with the car was documentation back to the day it was sold, and despite the awful wiring, the interior was as nice as could be. Instead of a silver lining, it was silver innards. "You'd think that I would have been upset, but I wasn't. 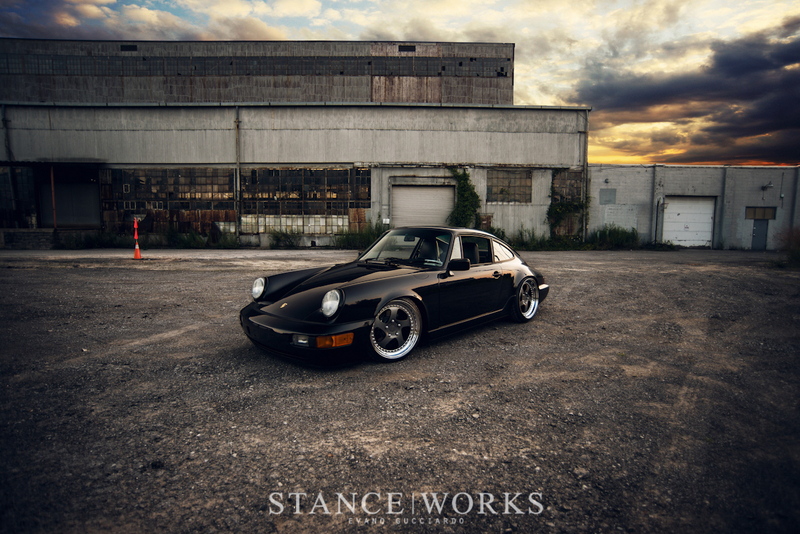 I had found the only car I wanted at the time and was determined to bring it back to its original glory and then some." 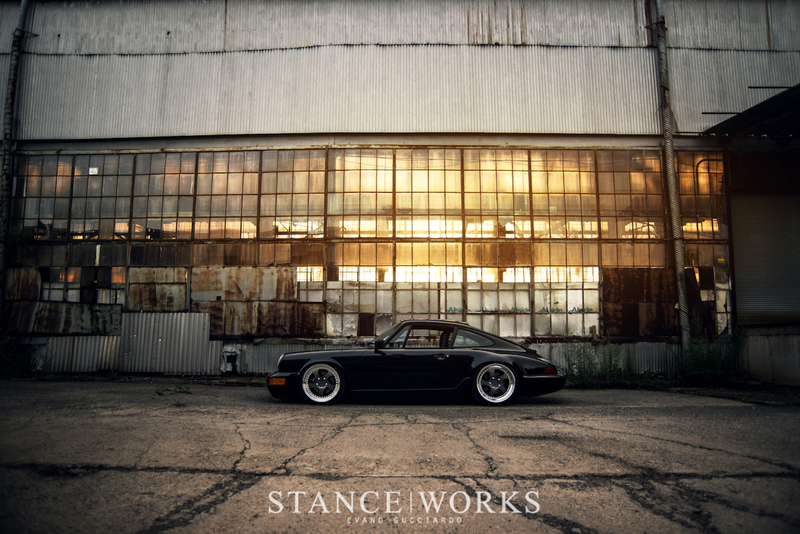 Jason dove head-first into restoring the car to what Ferdinand Porsche had intended of his marque. First on the list was paint restoration: Jason enlisted the help of friend and detailer Dave Cologgi of Arete Auto Salon for a full paint correction. The outcome was a finish that was "showroom new," - telling of Dave's talents as a detailer. "I couldn't believe it, and was frequently asked for weeks who had done such a phenomenal job spraying the car. 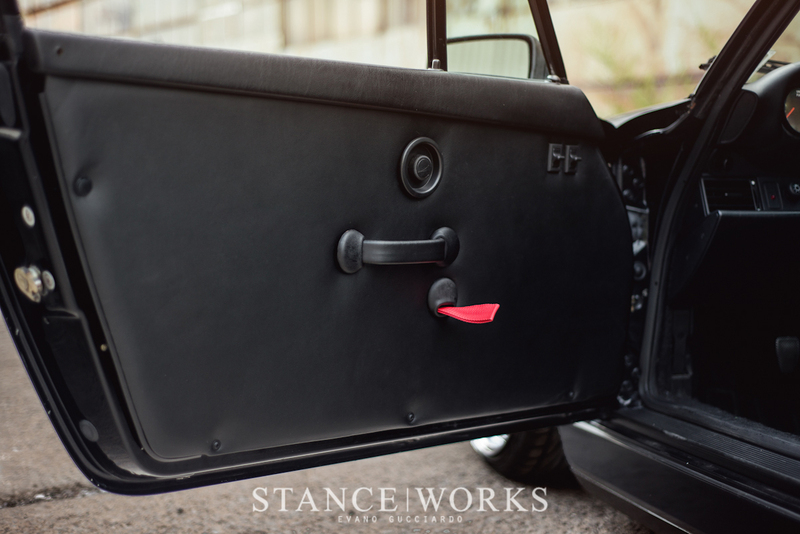 ...Keeping up on the impeccable detailing became a great source of pride over my ownership." To match the paint, Jason went through the effort of replacing the front headlights, fogs, and amber corner lamps with OEM Bosch originals. The rear tail lights were refinished, painted, and cleared, paired with new gaskets, and installed to clean up the tail end of the car. The pitted and weathered windshield was replaced with OEM glass, and the finished outcome made for a beautiful, like-new exterior. The interior of the car received a good cleaning, but it wasn't enough to seal the deal. In place of the obnoxious factory wheel, a Momo Prototipo wheel was fitted. 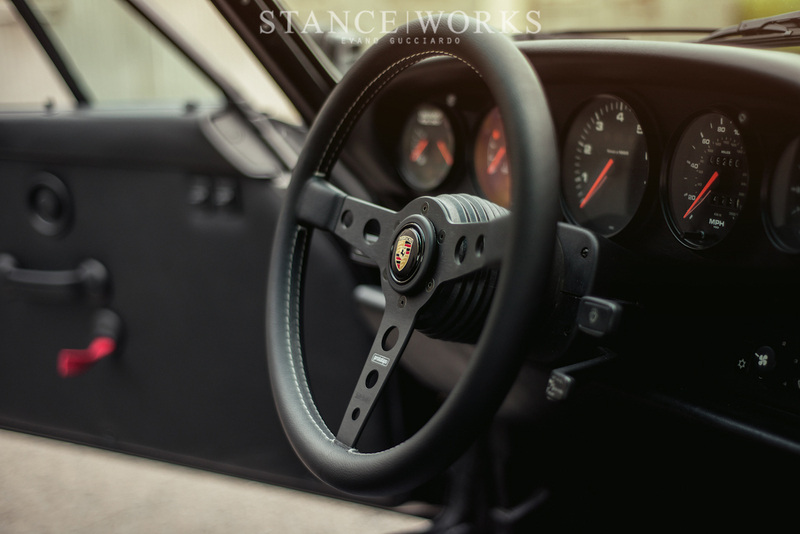 Jason's excitement centers around the real Momo Porsche Crest horn button - "They can be hard to find because Porsche took away Momo's licensing rights for the product at some point." An airbag delete relay was installed to rid the dash of pesky lights. 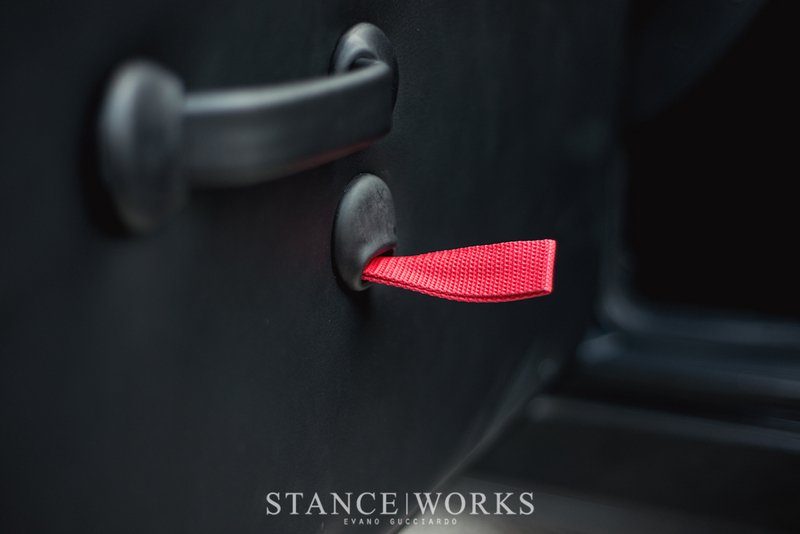 The door cards had been hacked up for someone's previous stereo installation - in exchange, Jason opted for a full-leather set of RS door cards with red nylon pull straps. While the door cards were off the car, Jason took his time fixing the wiring, and at the same time installing a pioneer bluetooth headunit and hidden kicker speakers. Rounding out the repairs came from replacing the car's bushings and fixing the AC system. With that, he had the Porsche he hoped he had bought. After the restoration came modification, and first on the list was a set of AH Exclusive H&R coilovers, shipped over by Brian Henderson at Rotiform. "These coils allow full functionality and retain all helper springs and collars, even at a maximum of a 110mm drop. This allowed me to plant the the body of the car just over the pavement while retaining the the drive-ability and handling you expect out of a 911." 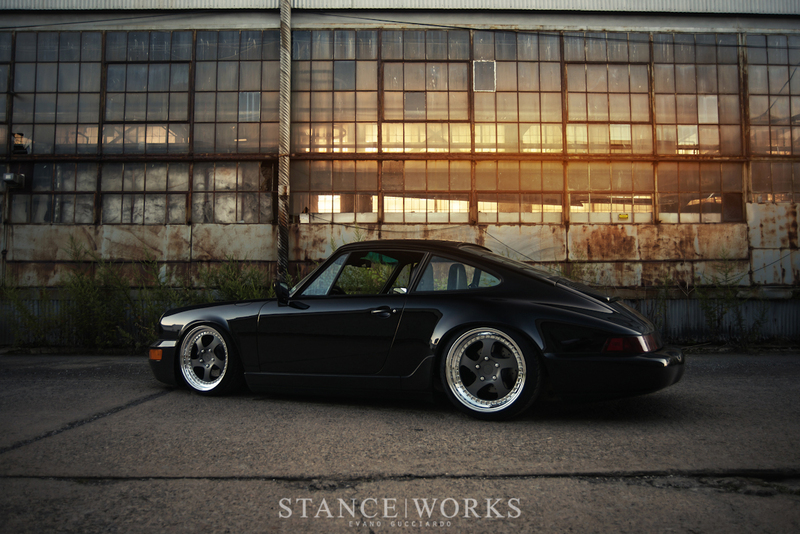 After dropping the car, Jason stayed with Brian and Rotiform to outfit the car's need for wheels. 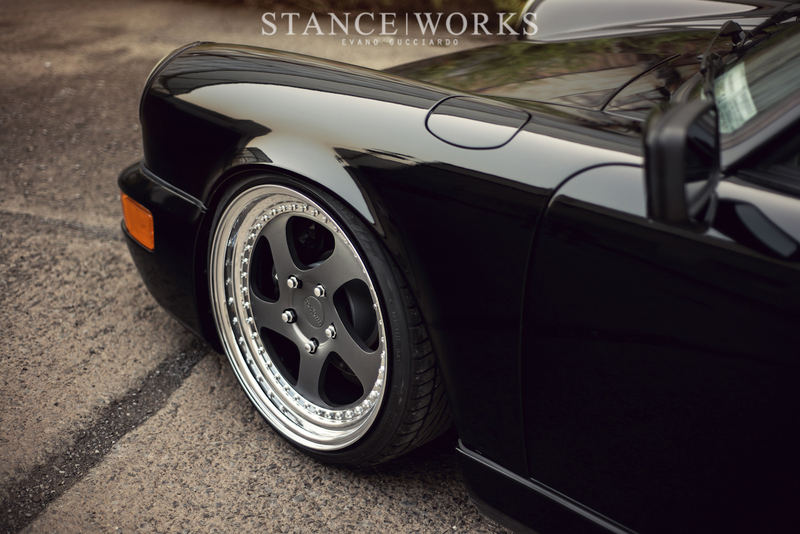 The 5-spoke twist design is synonymous with Porsche, as Jason put it, and the Rotiform TMB, since its release, has stayed at the top of the list of Jason's favorite wheels. The choice was an easy one to make..
"I enlisted Brian and Jason's help as I had so many times before, and had 18x8.5 et46 and 18x10 et46 TMBs built with satin anthracite centers and chromed step lips." Before mounting them to the car, a the factory rotors were swapped out in favor of drilled Adams Rotors, and the Porsche calipers were rebuilt. The wheels were wrapped in fresh rubber and bolted on. When the car was set back down on the ground, Jason fell in love all over again. Across his ownership of the car, Jason continued to rebuild, repair, and modify the car to his exact tastes. A full rebuild of the shift tube solidified the driving experience, and a custom exhaust gave it a sound to match. Nicknacks here and there were replaced to create a truly beautiful car - one to capture the eye of all Porsche lovers. 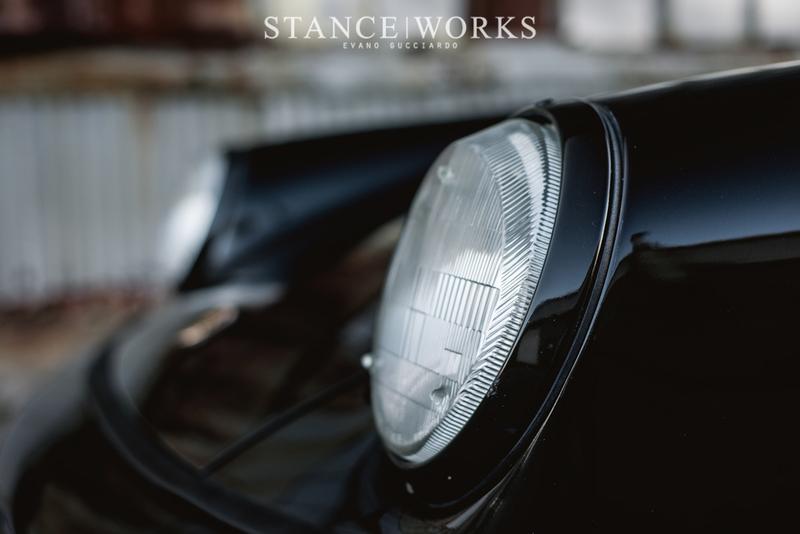 But as said before, Jason is no stranger to the car-buying game, and with such a lengthy list of car builds behind him, it is no surprise that this 964 is the last of the bunch. "All good things come to an end. My good friend Dan will be taking over ownership shortly and carrying on where I left off. This car, above most I've owned, will be dearly missed, but my automotive bucket list is still very long and this is far from the last 911 I plan on owning." 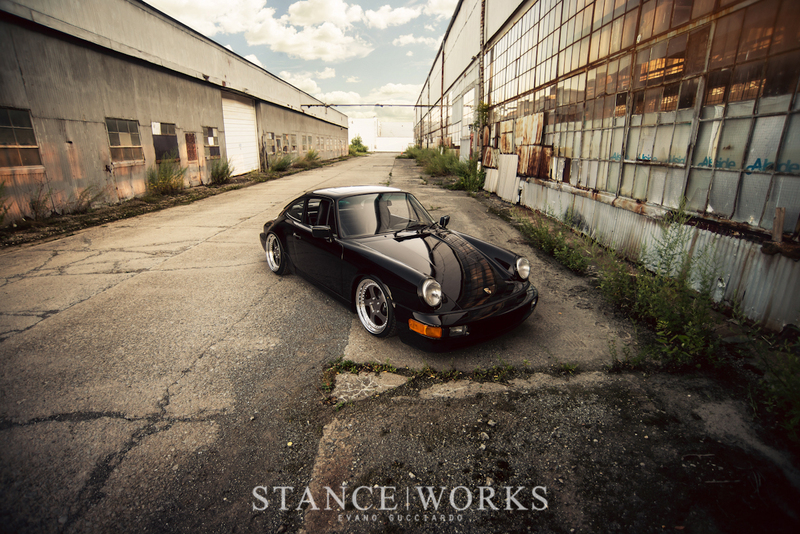 In just a few short days, the 964 will be gone for good, on to its new owner. We'll be left to wait, wondering what Jason may build next. He did indeed. Another great set of photographs from Evano! Shift tube? You mean shift coupler? @avdy I don’t get the RS door cards (race car) with the super low stance and huge heavy wheels (show car). Whatever. 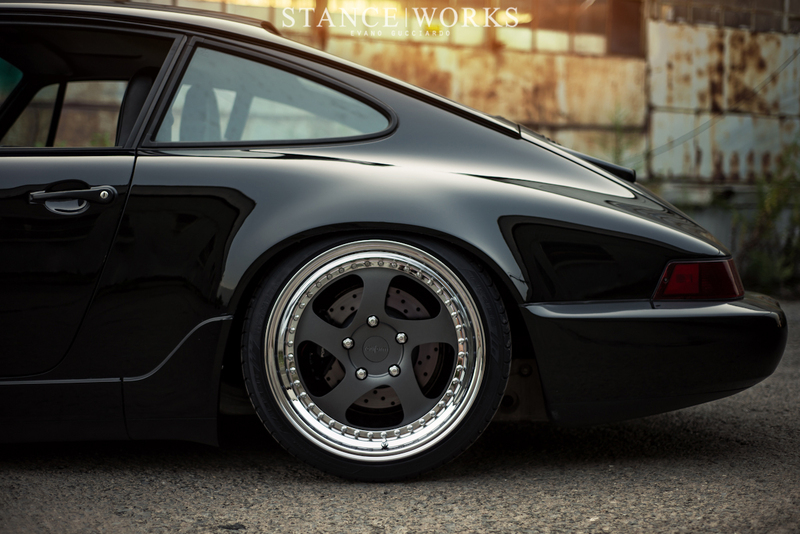 Lots of 964 features showing up lately here and on other similar sites.. now if only I could find one to buy myself.. Absolutely beautiful car, everything just flows, amazing work! BUt I can’t believe that someone would put all that effort into bringing a lost cause back to it’s glory then sell it… I’ll never understand that, why not enjoy it for years to come? Sometimes it’s not about the build but the finished piece and the driving thrill it gives… just my opinion. Makes me all warm inside to know that this car was brought back to the living as a gorgeous piece of art. Yeah it looks good parked like a honda…but you can’t honestly tell me that car isn’t completely ruined…sad. Is there a built thread for this beauty? Anybody know where to find pics high res?